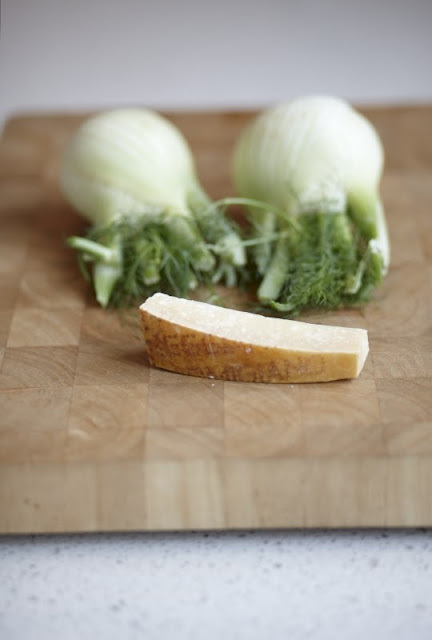 Trim fennel and cut into pieces, lengthwise. Add lemon juice and fennel. 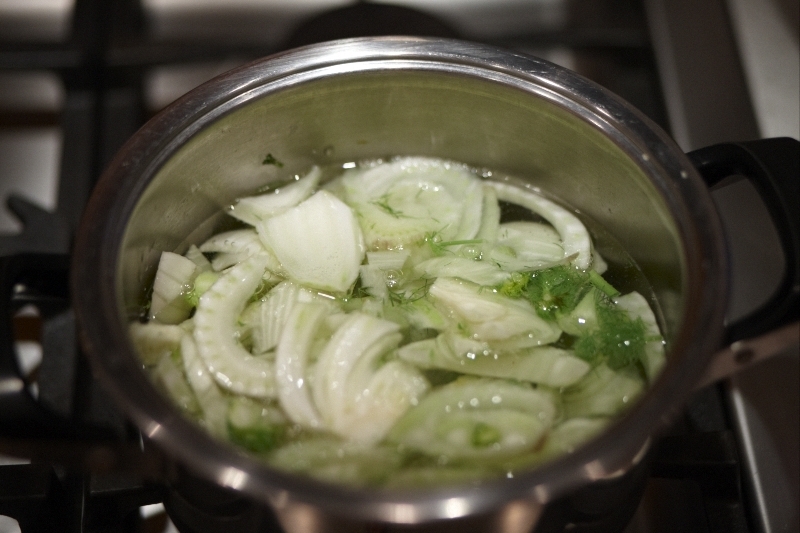 Cook fennel for 10 minutes, then drain. Butter an ovenproof dish and run a cut garlic clove around the dish. 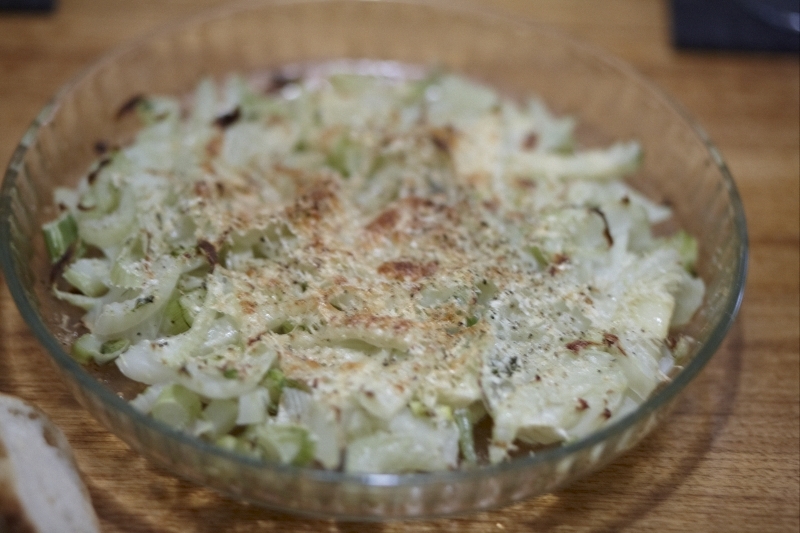 Arrange fennel in single layer. Melt butter, pour over the fennel and sprinkle with parmesan.